Got a spare $300m? 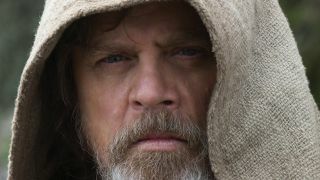 You might just be able to make the day of a very vocal group who aims to get Star Wars: The Last Jedi remade in full. Yes, this is real life and, no, I’m not sure what to do with this information, but Rian Johnson has offered his ‘support’ to the project. Here’s the skinny: a Twitter account under the handle ‘Remake The Last Jedi’ has (apparently not jokingly) set up a website to help give funding to the campaign. It already has an eye-watering $62m raised but, if you look a little closer, anyone can say they’re going to give funding. I might just chuck in an extra 100 billion for shits and giggles. As you can imagine, this gained traction on Twitter, with a few famous faces, including the Guardians of the Galaxy’s James Gunn, putting their opinions across. But the sweet satisfaction the group may have had has all been punctured by a tongue-in-cheek response from original director Rian Johnson, who wants them to go all-in on the remake. Even stranger, whoever runs Remake The Last Jedi’s Twitter account is taking Johnson seriously. That’s either some world-class trolling or someone who needs their internet privileges revoked. Either way, once the internet caught wind of this they were expectedly, brutally merciless. Because that’s what you get when you act like a child when not given the exact movie you came up with in your head months before release. No, Rey isn’t Luke’s daughter, Snoke isn’t Palpatine and, yes, we’re all off to Canto Bight on our holibobs. Deal with it. For a more reasoned reaction, here's what the world said about Star Wars: The Last Jedi upon its release.